The fate of India, will to some degree, determine the fate of the West. While the sub-continent is undergoing a de-regulation fuelled economic boom, its future capitalist alignment is far from assured. India is being wooed, lured and subverted, slowly but surely into the Russian/Chinese axis. The two future super-powers are aiming to build a pan-Asian power bloc, incorporating Iran, the old Soviet Islamic republics, India and even possibly Indonesia. The framework for this bloc is the Shanghai Cooperation Organisation, of which Iran and India are currently observers. Should this come together as planned, the grouping will dominate Asia and overshadow Europe. Coupled with a red Latin America and Africa, the bulk of which is now Russian and or Chinese aligned, the balance of power may well swing Russia and China's way. Once Upon a Time in the West puts the case well. He begins by quoting senior KGB defector Anatoliy Golitsyn. Well known for his thesis that Russia and China will one day unite to confront the West, Golitsyn predicted the rise of Solidarity in Poland, the fall of the Berlin Wall and the stage managed "collapse of communism". Before long, the communist strategists might be persuaded that the balance had swung irreversibly in their favor. In that event they might well decide on a Sino-Soviet "reconciliation." The scissors strategy would give way to the strategy of "one clenched fist." At that point the shift in the political and military balance would be plain for all to see. Convergence [between East and West] would not be between two equal parties, but would be on terms dictated by the communist bloc. In the long term, they [Russia, China, and India] feel that the whole structure of international relations has to shift in their direction. In the Western Hemisphere neo-communism is consolidating its power. Further afield, in Asia the Moscow-Beijing Axis is seeking to woo other states, some suspecting, others not, into its orbit. The Moscow-Beijing/Trans-Asian/Eurasian Axis is embodied in the Shanghai Cooperation Organization (SCO), a new communist bloc whose senior partners are Russia and China. India holds observer status in the SCO, communists hold the balance of power in the country's parliament, and Maoist insurgents hold one third of India's territory. India's "Naxalite" rebels network through the Coordination Committee of Maoist Parties and Organisations of South Asia with Nepal's communist rebels, who were admitted last November into the government after the monarchy, weary of 10 years of civil war, capitulated to their demands. In short, international communism is ready to pluck India like a ripe fruit. By securing India's full participation in the SCO, the Moscow-Beijing-New Delhi Axis will control, 40% of the world's population, 20% of the world's economy, and 50% of the world's nuclear warheads. Geopolitical analysts frequently refer to the these three countries and neo-communist Brazil as the "BRIC" group. This term was coined in a 2003 report published by the Goldman Sachs investment bank to refer to the rapid economic development of these countries. Goldman Sachs predicted in 2006: "Over the next 50 years, Brazil, Russia, India and China--the BRICs economies-- could become a much larger force in the world economy. We map out GDP growth, income per capita and currency movements in the BRICs economies until 2050." While more than likely oblivious to Moscow's long-range strategic deception, this bastion of Western capitalism unwittingly created a term that aptly encompasses a key, latter-day component of the Communist Bloc. International communism's "one clenched fist" of which Golitsyn warned in his first book New Lies for Old (1984) is almost ready to strike the West. This is not the first time that the foreign ministers of Russia, China, and India have held trilateral discussions. A 2002 article in The Hindu concluded: "It would appear that Russia, China and India, by cooperating with each other, are sending a subtle message to the world's only superpower — that they, too, count for something in international affairs". This is just lunacy Trevor. India has about as much likelihood of turning communist as New Zealand. Granted, it is an emerging superpower, free from the binds of both Wastern and Warsaw Pact bloc constraints, but it has completely focused its nationhood emergernce on capitalistic growth. There's a reason why it's emergent middle class has focused on IT and software for growth. It's a complentary economy to the USA in many ways. Of course India will seen strategic relationships with other nations than the USA or the UK. But that's called realpolitik - making sure your nation gets ahead. Seems a bit far-fetched doesn't it Aaron. A year ago people were telling me that Venezuela would never go communist and that Chavez wasn't really a red. Don't hear much from them now. India has far more communist influence in its government and society than Venezuela ever had. If India falls, and I hope it doesn't, I think it will be bit like Hong Kong. It'll maintain a relatively free economy. People will still be able to make a rupee. What will alter first will be its political and military alignments. Ask yourself Aaron. If you ran India, given the current power relationships between East and West, who would you bet on? The Indians aren't stupid and they have a huge domestic communist movement, to help them make the "right" decision. BTW-I hope you're right and I'm completely wrong. If I ran India, I'd count on the Indians prevailing against both. After all, they're a nation of 1 billion people. There's bound to be a percentage of nutters out there, just as there is 1 percent of New Zealanders who identify as ACT voters. My understanding of the Indian communist movement is that they spend more time attacking each other than they do anyone else. If anything, they reflect Monty Python's Life of Brian perfectly - the People's Front for Judea vs the Judean People's front, vs the Front for the Judean people, who are all opposed to the Judean Front for the people. 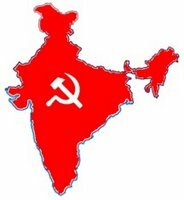 Indian Communism is laughable, divided and relegated to the provinces, by and large. I hope I'm wrong about India fortunes and you're wrong about ACT's support. Time will tell. Pity I'm not a betting man. aaron, you idiot, wake up - nz has a communist government and india is well on the way. even tevor the centrist accepts that communists run the labour party! A nice read it was. But I don't agree with the writer in some cases. It was Khrushchev who said: "The capitalists will sell us then rope we will use to hang them." This is exactly what's occurring. Russia and China have both (in line with Golitsyn's predictions) pretended to adopt market economies to gull the West into a false sense of security about the Communist threat to freedom. They are building up their military-industrial complex using Western technology and capital. We will yet be fighting these bastards or throwing up our hands and meekly accepting a Communist police state. The geo-political realities are that, unless USA stops its political-militaristic advances over a period of time, national and religious factors may play a vital role in reshaping the post cold-war scenario. Aaron's right, Indian communism (most obvious in Kerala) is as much internecine warfare as anything else. It is increasingly like Chinese communism - let's face it, the Chinese communist party has little to do with Marxism-Leninism, but everything to do with having a monopoly on political power and an excuse to wield it. It is the ruling party of the fasting growing capitalist economy in the world. Corrupt? yes, but increasingly privately owned and driven by demand/supply and price. China is allowing more political competition at the local level - this will increase over time. India by contrast has far more powerful institutions than communism - in the form of religion and business. The risk of communism in India was greatest 40 years ago, it is now the lowest it has been since independence. "The geo-political realities are that, unless USA stops its political-militaristic advances over a period of time, national and religious factors may play a vital role in reshaping the post cold-war scenario." "aaron, you idiot, wake up - nz has a communist government and india is well on the way." This is idiocy right here. Wake me when New Zealand is no longer in the top ten and somewhere where North Korea or mainland China are. Scott-your post goes right to the heart of the anti-communist debate. Is Chinese communism and Marxism-Leninism generally losing its grip and gradually evolving into "democratic" forms? Or, is the so called "fall of communism" really a long term strategic deception that will be reversed when the time is right? The latter view, which I favour was first proposed by ex KGB man, Anatoliy Golitsyn in the mid '60s. It found favour in British, US and French intelligence circles, but became very much a minority view after CIA counter intelligence head James, Jesus Angleton was ousted in 1974? Golitsyn claimed that once the deception was played out, Russia, China, their "ex-communist" allies and much of the Islamic world would re-unite against a weakened and de-moralised West. Realistically there is much evidence for Golitsyn's view. I would recommend that you and Aaron study up on his works. I'd be interested to see what you think. Looks like the world is doomed then, what ? Inevitably so, what ? My advice: develop an interest in grasshopper whispering - hardly less meaningful than your present focus. "The Grand Old Duke of York.....he had 10,000 men.....etc etc etc". Well done boys/girls ! New Zealanders clamour for you !